Want to have a sojourn to jail up to 3 years for doing nothing, just deny holocaust. This exclusive scholarship is abundantly available in Whole Europe. I wonder at this very era of Freedom of speech where you are allowed to molest Jesus (A.S) of absence accusations and where Cartoons of Mohammad (SAWW) are widely applauded under the umbrella of Freedom of speech, you must not deny Holocaust. Innovative historians keep on digging Prophets Graves dated thousands years back revealing unimaginative findings, tumbling religious footings, hurting Billions of people believes but Holocaust that happened merely 60 odd years back , its revisionism is not permitted. Several people have been put behind bars for this audacious crime. Putting aside the truth about Holocaust, This Law as this is against human freedom and more predominantly against Virtue. Watching Hollywood movies and renowned channels documentaries, the only agenda of the Hitler and Nazis seems to slaughter the world Zionists. I Wonder Nazi legion busy making pillows of Jews hair, and producing Semitic-soaps make lamp shades out of the Jews' flesh, and also wigs and stuffing for beds with the hair of 6000,000 Jews. This is true, and it can be found in History books and Testimonies. You can Imagine the exaggeration of Falsehood. There are six zeros after six. I really astounded when I was introduced to this legendary tale and its boastful numbers. The Nazis dissolved the dead corpse in acid, burnt all dead bodies, and even crushed their bones to leave no evidence. How smart Nazis were but they don’t know the forthcoming historians are even shrewder, who collected evidences from the Ashes and bones told there were billions died in WW and of them 6 millions were Jews. First I should make it clear that I am neither Nazi descendant nor a first cousin of Ahmadinejad. I consider Nazis acts as ferocious, barbaric & against humanity. Undoubtedly their rage towards War prisoners in the concentration camps and their treatment with Jews are certainly not commendable. But all prisoners and civilians died were not Jews. This doesn’t require deep digging, mere a scratch starts revealing the truth. Holocaust a fable film full of “Hollow Casts” & fake characters like Anne Frank is all fabrication. One loop hole found put whole matter in suspicion and demands more rigorous Investigation. 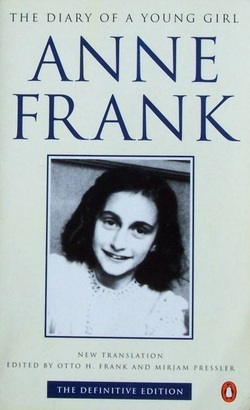 Anne frank diary found from the concentration camps contains the notes of a 13 years old girl which she wrote in war period from 12 June 1942 – 1 August 1944. She expressed her thoughts, events of war period, how she was brought to the concentration camp and inhuman behavior of cruel Nazis, thrusting Jews to Gas chambers etc. -Jews were not allegedly allowed to carry luggage how a girl keep the diary intact throughout thousand miles writing her intellect observations? -Such eloquent writing in desperate circumstances by 13 year teen? -Germans who forcefully deprived prisoners even of clothes and other possessions, how a girl escaped from their agile eyes to regularly write such? -Then she died before authenticating it … Obviously!! Many scholars reprimanded the diary vigorously and declared it as deceit, a mere fabrication. This Diary published by Otto frank , anne frank father and Historians claimed that it is his own Notation. Many people have denied holocaust in a sense that this incident requires revisionism. Most Holocaust denial claims that the Holocaust is a hoax arising out of a deliberate Jewish conspiracy to serve the Interest of Zionists. French historian Paul Rassinier, an anti-Nazi French Resistance fighter who was himself in concentration camp published “The Drama of the European Jews”. He negated most of the horrible stories and atrocity tagged with Nazis. Rassinier was himself a concentration camp survivor. He was not anti-Semitic rogue; in fact he helped French Jews escape the Nazis. American historian Arno J. Mayer in his book “Why Did the Heavens Not Darken” stated that majority of people who died at Auschwitz was the victims of diseases rather than gassing. Harun Yahy is also of the same view point that “what is presented as Holocaust is the death of some Jews due to the typhus plague during the war and the famine towards the end of the war caused by the defeat of the Germans.” This fact may also be found in Anne frank Diary. I am not against a particular Race, not an anti-Semitic. I am against fierce killing of innocent Humans whether Nazis killings of Jews, Jewish Massacre of Palestinian Muslims, Or Muslims atrocity at World trade center. I am against any kind of genocide or homicide. But I am also against the restrictions and banning of so called Freedom of speech of Europe, who claims them to be pioneers of this very Liberty. There is wide distinction between denial Historical figures and Favoring the Genocide. “There is no dispute over the fact that large numbers of Jews were deported to concentration camps and ghettos, or that many Jews died or were killed during World War II. Revisionist scholars have presented evidence, which "exterminations" have not been able to refute, showing that there was no German program to exterminate Europe's Jews, and that the estimate of six million Jewish war time dead is an irresponsible exaggeration. The Holocaust — the alleged extermination of some six million Jews (most of them by gassing) — is a hoax and should be recognized as such by Christians and all informed, honest and truthful men everywhere”.